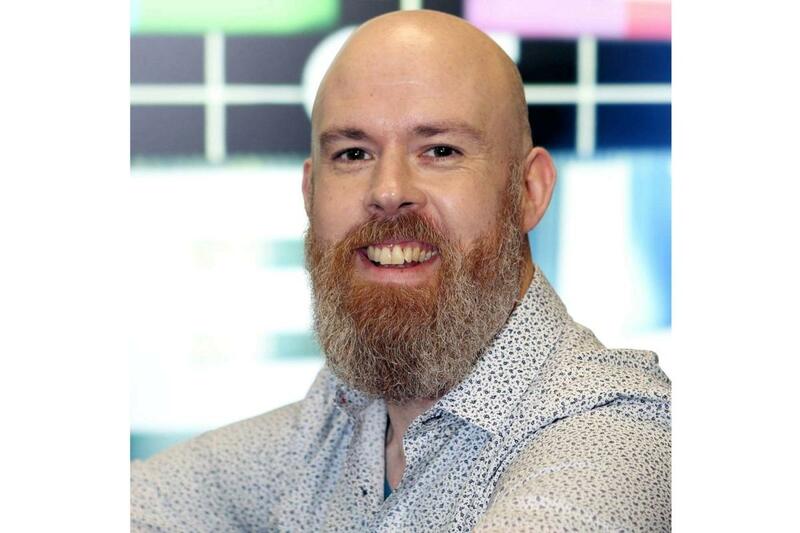 Entertainment Editor, Gemma Kent, chats with comedian Edwin Sammon about his new tour and the power of laughter. Coincidently, the best part of doing interviews is also the worst part. You’ve not known the #struggle until you’ve spent a solid hour trying to work out what that one word your interviewee said was, muddled as it is behind your own ludicrous laugh. There goes a great quote for the article, you think. The world will never know what Edwin Sammon had stuck to his hat during his school performance of Fiddler on the Roof. (You eventually get it, of course, because you’re a stubborn brat who refuses to skip ahead). 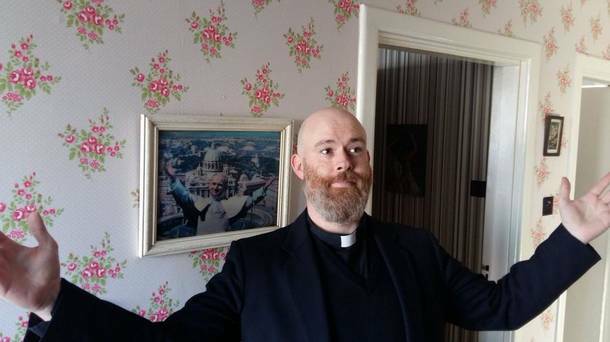 Edwin Sammon is best known for his role as Fr Gabriel in the Irish TV series, Bridget and Eamon, and also for his various performances in stand-up around the country, from his homeland of Offaly, to Dublin, Cork and everywhere in between. What I think was most extraordinary about Sammon’s account of this period of his life was its perfect mix of the candid and the humorous. At once, I was compelled to feel sorry for him – to want to apologise for hearing about it at all – and the next, I’m feeling like a wretched human being because he’s just taken the mick out of his cancer experience and it’s stupidly funny. Yeah, I just put “funny” and “cancer” in the same sentence. I think this fear to mention things like death and cancer sums up why Irish people can fall short of talking more about the things: we can’t laugh about it. Rather, we feel we can’t. We think it’s offensive, or inconsiderate or inappropriate to make light of these issues the same way we make light of absolutely every other problem in our lives. Not only, then, are we dragging cancer into the light, we’re also sapping it of its power. No longer is it Threat-Which-Must-Not-Be-Named but something to be faced, something to be treated as surmountable. It’s the Dark Lord of subject matter and we’re calling it Voldemort. The cure, then, perhaps not necessarily to cancer itself but at the very least to the stigma around it, lies in laughter. The sooner we can laugh about it, the sooner we can talk about it, flesh it out, and take it on. And the power of laughter travels beyond the realm of keeping us physically well — it’s also possibly the only thing that’s keeping the planet sane right now. When I listen back on that last remark later on, my own ridiculous laughter a happy backing track to it, I regret a little less that it takes me ten minutes to tease out the full extent of the words. After all, I say to myself, what I’m listening back on is the sound of the comedian’s cure-all, and the best part of the interview. Edwin Sammon performs at the City Limits in Cork on the 18th of February.